Has CBC been misinterpreted as CBD as a result of Gas Chromatography? With the adoption of the United Nation’s Single Convention on Drug Control in 1971, it became necessary for the international forensic community to be able to differentiate “drug-type” cannabis from “fiber-type”. Due to the restricted research and limited knowledge of cannabis at the time, the United Nations adopted and recommended the ratio of the two main constituents of cannabis -THC and CBD . In other words, if the ratio of THC:CBD was greater than 1 – it was deemed a drug; if the ratio was less than one, the plant was deemed to be hemp. Cannabis is finally being accepted as the medicinal plant it is and as countries move towards accepting recreational cannabis, why is the industry still only focused on the ratio of THC to CBD???? With the exception of the ACDC strain above, the cannabinoid – CBD (cannabidiol) is only present in trace amounts in the above strain fingerprints, relative to CBG, CBC and or THCV. The above strain fingerprints not only disclose the major cannabinoids present in a given strain, it also discloses the terpenes that are present. Terpenes and cannabinoids are produced in the heads of the glandular trichomes, produced during the flowering stage of unfertilized female plants. For indepth research on cannabinoids and terpenes, the following e-book is available at Amazon and provides indepth information on cannabinoids, terpenes, strain fingerprints, plus so much more. The synergistic benefits of the plant’s naturally produced cannabinoids and terpenes provide a great deal of additional benefits relative to just THC or CBD. As consumers and patients of cannabis become more educated on the full potential of this plant, it is important to insist on reviewing the full strain footprint from licensed vendors. In this way, the quality of product should increase, along with indepth research on the medicinal qualities of this plant. 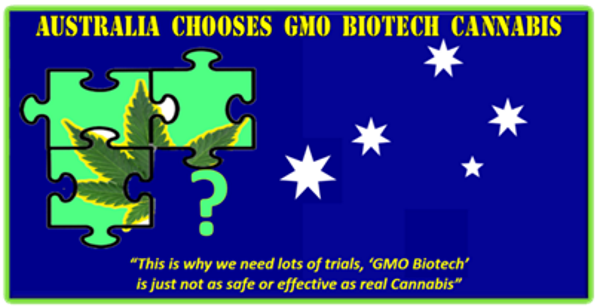 Is Australia Moving Towards 100% Genetically Modified, Biotech, Bio-Controlled Cannabis instead of Medical Marijuana? Even the definition of the word ‘Cannabis’ is being changed for the occasion! A recent Survey by Roy Morgan research of 644 people <link http://bit.ly/Cannabis-Survey> shows 91% of Australians are supportive of medical Cannabis. It might come as a surprise to many that contrary to the literature, many indica skunk strains we tested, show a higher ratio of the cannabinoids CBG and THCV over the much touted CBD cannabinoid. As medical cannabis patients, we must become more discerning and particular when choosing the specific strain of medical cannabis that works best for our individual and unique needs. The cannabinoids in cannabis work in a synergistic capacity and we should not accept a simplistic standardization that, although facilitates the pharmaceutical industry’s method of monopolistic distribution, ultimately limits what this plant could otherwise offer us in terms of full homeostasis. In Canada, the ministry that thinks they own our health, has basically handed control of the cannabis plant over to corporate bankers. These suits who were promised a large return on investment, are allowed to use approved pesticides on a plant that was previously grown organically by most approved growers under the old system. Furthermore, the new licensed growers/producers are also only required to disclose the percentage of only the THC and CBD cannabinoid content, as if those are the only two cannabinoids that exist. Other Countries have a misconception that Canada is advanced with their new MMPR legislation. Nothing can be further from the truth. Health Canada is selling the patients who need the medicine to big corp who only want to make money through control. Without the right to grow, patients will lose their right to juice, a life saving remedy for numerous disorders. Why is Canada’s Health Minister Outraged over SCC Unanimous Ruling that Allows Consumption of Cannabis? This ruling has the Minister of Health, Rona Ambrose, “outraged”. “Let’s remember, there’s only one authority in Canada that has the authority and the expertise to make a drug into a medicine and that’s Health Canada,” she said during a press conference. As a result of this SCC ruling, the charges for trafficking in cookies against Owen Smith, have been dropped. Why on earth is the Health Minister outraged? The Health Minister wants us to remember that they are the only ones with the authority to approve what Canadians are allowed to be prescribed as medicine. The above report is very thorough with respect to how Big Pharma came to be and who they are. Why in the world would Canada’s Health minister be “outraged” over the SCC ruling of allowing the consumption of medical cannabis? Could it be that consuming this herb has the ability of not only curing cancer but is more effective than any prescription drug available from Big Pharma? If the Minister of Health is outraged over a plant that is more effective than any prescription drug on the market, why is she the Minister of Health? Clearly, her mandate is preserving profits over patients. The College of Physicians and Surgeons of Ontario (CPSO) (the board that governs Doctors in Ontario) published their new policy on Marijuana for Medical Purposes (MMPR) dated March, 2015. This is a welcome policy change since their previous position was stated as not in support of marijuana and advised Ontario doctors to “proceed with caution”. What is interesting with their policy change is with respect to their definition of the medical document that a patient requires to access medical marijuana from an on-line approved Licensed Producer. This is an extremely important definition! Since the College issued their Policy on MMPR, Sun Life Canada was the first insurer to cover cannabis for a student attending the University of Waterloo. In May of 2004, the Supreme Court of Canada, in a 5-4 vote, ruled that Percy Schmeiser, a canola farmer in Saskatchewn, violated Monsanto Canada’s patent on its “novel” invention of genetically modified – ‘Roundup Ready’- canola seeds. Mr. Schmeiser vehmently contended that the GMO patented seed had somehow, blown onto his propery. Monsanto disputed the claim and insisted the Canadian Farmer had ‘reaped and reused’ the GMO seed without authorization or compensation to Monsanto. Read more on the ruling here. Over on Monsanto.com , these thugs claim that ‘Percy Schmeiser is not a here – rather, he’s a patent infringer who knows how to tell a good story.” Regardless of what Monsanto writes on their web-site about OUR Canadian Hero, Mr. Schmeiser is old school and opposed to genetically modifying nature. To that end, why on earth would this farmer intentionally plant GE seeds. At the end of the day, the Supreme Court of Canada ruled that Mr. Schmeiser was not unjustly enriched, rather, his profits for the year in question “were precisely what they would have been had he planted and harvested ordinary canola”. As a result, the Saskatchewan farmer did not have to pay any damages to Monsanto for patent infringement. Prior to the 2015 overhaul of the legislation implementing stiff regulations regarding genetically modified (GE or GMO) foods, Monsanto managed to introduce GE food under a new category entitled “novel foods” and provided governments with scientific consensus that GE foods pose no greater risk to human health than conventional foods. 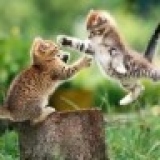 In Canada, Health Canada fired Shiv Chopra and Margarety Haydon in 2004 for insubordination when the two repeatedly went public over their concerns about the safty in the controversial Bovine Growth Hormone. The two were being pressured to approve the ‘Recombinant Bovine Somatotropin (rBST)’ growth hormone to boost the pruduction of milk in dairy cattle. Most recently and a dozen years after these whistleblowers were fired by Health Canada, a tribunal has ordered reinstatement – see the update here. Science Direct asserts that the research into recombinant DNA technology, has provided unparalleld advancements in the agricultural and pharmaceutical industries, producing more food and therapies for the world’s population. The question that never gets answered is this: What are the perils of GE foods? NCBI, another scientific site, has this to say about GM foods. Scientific studies seem to back this controversial subject. With the regulation of medical and recreational cannabis in the near future, is it a surprise to learn that Monsanto has hooked up with GW Pharmaceuticals in the UK along with the largest seed accumulator – HortaPharma B.V.? The second of three readings of Bill C-45 – “An Act respecting the legal access to cannabis and the control of its production, distribution and sale”, was still being debated in parliament, before the summer break. The debate in the second reading stems around the Canadian Medical Association (CMA)’s outburst that “legalizing weed will harm youth”. In addition, other Big Pharma supporters, such as the editor in chief of the Canadian Medical Association Journal stating that the new legislation is not protecting Canada’s youth. Other Big Pharma supporters, such as Health Canada, claim that not enough research and scientific evidence exists on the safety of cannabis. A study by the institute for Clinical Evaluative Sciences found that an alarming number of school age youth have been diagnosed with ADHD and prescribed harmful antipsychotic drugs. The Diagnostic & Statistical Manual (DSM 5) is the basis for the listing of mental disorders in the International Classification of Diseases and is used throughout the world. Most of the disorders contained in this manual are said to be caused by a chemical imbalance in the brain. According to the Citizens Commission on Human Rights (CCHR), the theory that mental disorders are caused by a chemical imbalance in the brain is just an unproven opinion, not fact, since mental disorders are determined by votes, not science. Furthermore, “Governments, insurance companies and private individuals pay billions of dollars each year to psychiatrists in pursuit of cures that psyhiatrists admit do not exist”. Numerous strains of cannabis have the medicinal health benefits of relieving anxiety, stress, depression and insomnia without any harmful side effects. In fact, GW Pharma has filed numerous patents on the medicinal benefits of cannabinoids for mental health disorders and a number of diseases, including cancer. 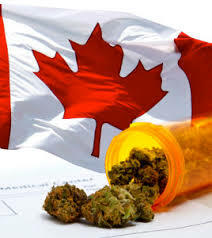 Although prescription bensodiazepines (diazepam, doral, xanax, valium, ativan, etc), used to treat a number of mental disorders, are a leading cause of death in Canada, cannabis has the ability to replace a number of these prescription pills – without harmful side effects. When doing your own research on the medicinal benefits of cannabis, there is the Big Pharma side vs. Mother Nature. You decide. Big Pharma Interrupted – their profits are threatened by whole plant based cannabis medicine. The pharmaceutical industry is against legalizing the plant on the basis that it fails to protect the safety of children. If that concern had a miniscule of truth to it, the industry would NOT prescribe their harmful psychotropic drugs to children. The largest pharmaceutical market in the world is the U.S. – representing 35% of the global market. Those states that have adopted a medical cannabis policy are witnessing a significant drop in prescription drugs including those for pain and for symptoms associated with chemotherapy – two very lucrative money making conditions for Big Pharma). The pharmaceutical industry is the largest industry raking in massive amounts in revenues at the expense of people suffering from acute health challenges to life threatening diseases. In fact, the Washington Post published specific results for reduced prescriptions including painkillers, anxiety, nausea, psychosis, sleep disorders and depression in those states with a medical marijuana law. 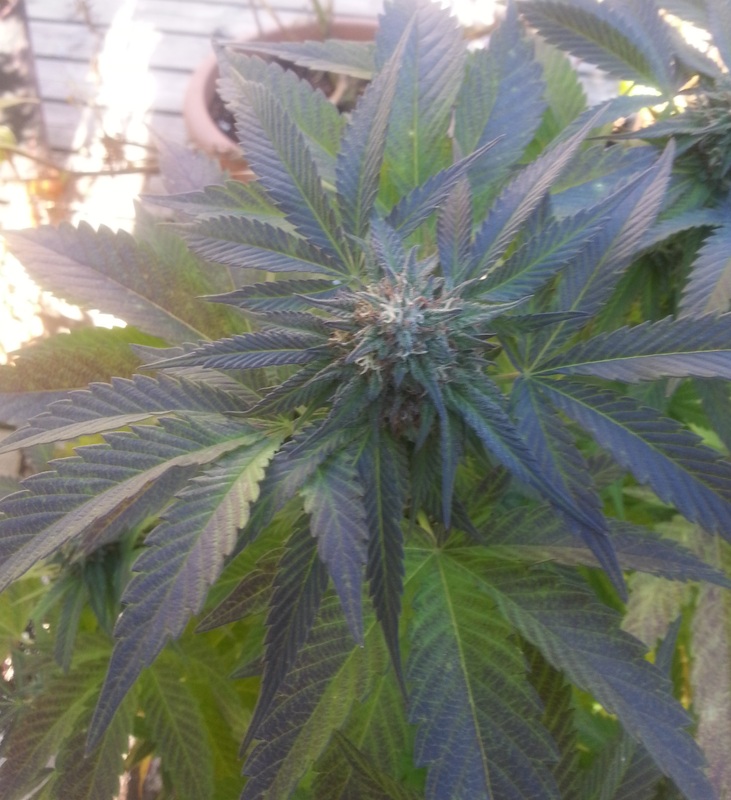 What is the pharmaceutical industry doing about a plant that can reduce their revenues by at least $4 billion annually? This industry is spending an obscene amount of money to discredit this plant as harmful, untested, dangerous and of no use, unless it is of pharmaceutical grade. Just Say NO to prescription drugs! Cannabis research at the Division of Narcotic Drugs, United Nations, Geneva is mandated with the primary function of internationally coordinating cannabis research in order to avoid unnecessary duplication of effort. In other words, the United Nations 1961 Single Convention on Drug Control, vilified this plant without corroborating evidence that supported its placement as a dangerous drug. The first research published about the cannabinoids in ‘Indian Hemp” was in 1843 by Dr. W.B. O’Shaughnessy. The CBN cannabinoid, cannabinol, was first identified in 1899 and it wasn’t until the 1940’s when researchers were able to identify other cannabinoids including: THC, CBD and CBN. Between 1940 and the implementation of the Single Convention on Drug Control in 1961, extensive research uncovered medicinal properties associated with these preliminary cannabinoids. The first patent filed regarding a compound of cannabis was in 1942 when cannabidiol (CBD) was isolated. After the 1961 Convention was concluded, Raphael Mechoulam and his research partners at the Hebrew University of Jerusalem isolated and established the structure of THC and synthesized it in 1971. This discovery lead to further research and identification of a number of other cannabinoids that possessed fascinating medicinal properties. Despite the fact that cannabis oil was included as medicine in the British and US Pharmacopoeia and used since the beginning of time as medicine in the east, it posed a threat to the pharmaceutical industry’s plan of taking over medicine. As a result, it became subject to criminal controls following the adoption of the Single Convention on Drug Control, and was then deemed a dangerous Schedule I drug – with a high potential for abuse; no accepted medical use and no known safety standard for its use. Despite these outlandish claims, the government continued to file patent applications on their research, without any competition. The UN established itself as the international competent organization to handle the control of narcotic drugs through its numerous agencies, committees, commissions, and treaty resolutions it set up. The UN, in its quest to vilify this plant, adopted an arbitrary method of identifying and classifying cannabis as to drug or fibre (industrial) type based on a ratio of total THC + CBN : CBD. If the ratio is less than one, according to the UN, it is deemed to be hemp; conversely, if the ratio is greater than 1, it is a drug of the most dangerous type. The problem with this method of identifying cannabis is two-fold. First, cannabinoids are only formed in the trichomes of female flowers and therefore, the method of adding THC to CBN as a ratio of CBD – is inherently incorrect. Hemp is grown for its seeds or stalk, NOT for female unfertilized flowers. In other words, there is very little medicinal cannabinoids found in industrial hemp and using ration of THC to CBD will be a false positive fibre type if the ratio is < 1. Although the hemp plant does not produce a significant quantity of medicinal cannabinoids, industrial hemp seeds do contain a plethora of health benefits and has its own unique medicinal properties, such as cannabisin B. The other problem with the UN’s definitive method for analyzing cannabis, is with their recommended method of chromatography. Single Convention on Drug Control in 1961, the UN continues to only focus on the aforementioned three cannabinoids – THC, CBN and CBD. Since the UN wrote their Recommendation for Identifying and Classifying Cannabis, it was subsequently discovered that a 5-type MS GC column is unable to fully separate cannabichromene (CBC) from cannabidiol (CBD). This has resulted in mistaking CBC for CBD. Since the United Nations established itself as the international competent organization to handle the control of cannabis, it has failed as a competent organization. The Single Convention was organized to control the illicit drug trade. However, prescription medicine continues to harm children, causing unbearable addiction, and violent behavior along with other psychiatric disorders such as suicide . How is it that society is better off when its constituents are worse off? Herein lies the hypocrisy with cannabis prohibition. The health benefits of cannabis are astounding and miraculous. Research on the medical benefits of cannabis can be found here; here and here – for starters. The latter link is the number of patent applications filed on cannabinoids by GW Pharma in the UK and the NIH in the US – the only ones allowed access to research and control. The Antique Cannabis Book has uncovered incriminating evidence against the UN in that the government has known, since the forties, the miraculous epilepsy cure that cannabis provides to those patients. Society is actually defined as those whom control the people. The fallacy is, the people ultimately have control! Stand up and fight for your rights! The UNODC describes Cannabinol (CBN) on page 27 in their publication “Recommended Methods for the Identification and Analysis of Cannabis …” as non existent in fresh and carefully dried cannabis. If this cannabinoid is present in a given sample of cannabis, the UNODC states that the sample is degrading. CBN is a degraded form of THC – as it does not occur naturally but is an artifact. Evidence shows that THC appears to degrade at a higher rate in the first year after harvest, relative to subsequent years. Since the recreational cannabis market is set to commence in 2017, cannabis inventory at the approved licensed producers in Canada far outweigh demand. What is very disturbing about the Marijuana for Medical Purpose Regulations (MMPR) is that LP’s are only required to disclose the percentage of THC and CBD. Since they are stockpiling their product, licensed producers should be required to disclose CBN. The City of London, Canada claims that the fluoride added to its water, known as Hydrofluorosilicic Acid (HFS), comes from an ore mined and processed in Florida. One only needs to search ‘fluoride mined in Florida’ to learn that the fluoride added to London Canada’s drinking water comes from Monsanto’s competitor – Mosaic, another large producer of fertilizers and pesticides. Mosaic is also an offshoot of the duPont chemical company. Hydrofluorosilicic Acid (HFS) is classified as a toxic waste and was the key chemical in atomic bomb production during WWII – known as the ultra-secret Manhattan Project. Information on the effects of fluoride on human health was somehow considered ‘Top Secret” and consequently classified under ‘national security reasons’. Over fifty years later, the declassified government documents show that initial lawsuits arising from DuPont’s use of fluoride in their A-bomb production, was over the damage caused by the fluoride chemical used in the manufacture of the atomic bomb by DuPont. This begs the question: Did the DuPont Chemical Company, thinking only of its reputation, convince the US government to add fluoride to the nation’s water supply as a means to escape liability from the damage fluoride caused to local farmers in New Jersey during the Manhattan Project? The DuPont company patented non-biodegradable plastic in 1937, after ensuring the biodegradable hempen plastic, was not a threat. The DuPont chemical company is notorious for escaping liability. A chemical DuPont used in the manufacture of teflon, called perfluorooctanoic acid (PFOA) and referred to as C8 was known to cause cancer, yet any study to this was specifically ignored. In a recent NCBI publication entitled ‘Cannabis sativa: The Plant of the Thousand and One Molecules‘, it was pointed out the great interest that the pharmaceutical industry and the agriculture industry has on hemp. In Canada, Hemp production is controlled by the Industrial Hemp Regulations. “a technology where the genome of a host crop is engineered with a foreign donor gene regulated by certain gene regulatory sequences (promoter, terminator, etc.). Crop genetic engineering started in 1983  via expressing of a bacterial gene in tobacco, and the first transgenic (genetically modified or GM) food crop (i.e. Flavr Savr tomato) was commercialized by Calgene Company in 1994 . In crop genetic engineering, genes are randomly inserted into a host plant genome. Although scientists add genes to crops via crop breeding, the breeding progeny is not considered a GM crop because the inserted genes and their regulatory sequences belong to the same host crop genus or in rare cases (for example, in case of cross breeding of oat and barley), to the host’s cross breedable crop. If the donor gene and all of transgene’s regulatory sequences belong to the same crop species or belong to the host’s cross breedable species, the resulting crop is called “cisgenic”. In the cisgenic technology, the cisgene must be an identical copy of the host’s native gene cassette, including its regulatory sequences integrated in the host plant in the normal-sense orientation. Biopharmaceuticals are drugs produced using biotechnology. Biotechnology is a process involving the manipulation of biological organisms at the molecular level and usually involves DNA itself. (Before DNA can be manipulated, it needs to first be isolated from the cells). Biotechnology was publicized as offering enormous potential for commercial applications in agriculture and health care. It should be noted that the WTO’s 1994 TRIPS Agreement is what paved the way for corporations to patent and introduce GMO’s in our food supply. GW Pharma states it uses their novel proprietary chemovars to target selected cannabinoids. The word “novel” comes from advances in genetics and can be interpreted to mean that they have genetically modified cannabis seeds to produce specific traits. As a result of this biotech process, the TRIPS Agreement allows for patent approval on their novel proprietary chemovars, the same way Monsanto obtained a patent on their novel or GE seeds.